Do you love the Trim Healthy Mama way of eating? Do you also love saving money? Do those two things sometimes feel at odds? These super simple tips will show you how to do THM on a budget! Eating healthy, especially when you’re first starting with THM meals, can feel more expensive as you stock your new, weight-loss-friendly pantry. Want to lose weight and not blow up your grocery budget? 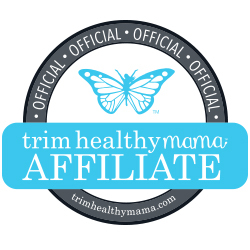 I absolutely love the Trim Healthy Mama eating plan. It helped me to lose all of the baby weight in just 4 months, while nursing that baby! It fueled my husband’s marathon training! It helps my toddler grow healthy and strong! But, I also love saving money. So, here’s the 14 ways that have made the biggest difference in staying on plan and having a THM pantry. There are lots of great sweeteners for Trim Healthy Mama, but I find that the easiest way to save money is to use an inexpensive sweetener. One of the best parts about THM meals is that you can eat dessert. And if you’re like me and wanna eat dessert often, you’ll save money with a less expensive sweetener! Hands down, my favorite sweetener to do THM on a budget is the THM stevia. I mainly use it in drinks, and I find that I can use it to to three times a day and a little, 1 ounce bag lasts at least six months. I also use the THM Stevia for some desserts, especially single serve ones like a cinnamon Muffin in a Mug or it’s fantastic in cheesecakes. The desserts in the original Trim Healthy Mama book (pictured above) also work great with pure stevia since those recipes were developed before the THM line of special ingredients. E meals have healthy carb sources. Healthy carbs can include very inexpensive ingredients, such as oats, brown rice, and sweet potatoes. Stirfry recipes are especially good for this. You can add egg whites to increase your protein from an inexpensive source (but save the yolks for yummy lemon curd or on plan chocolate chip cookies!). Soy sauce is also very cheap, and you can use up any vegetables that might be going bad so that you don’t waste anything. If you’re a THM purist, coconut aminos are great in place of soy sauce, and a big bottle will last you a long time! Do you struggle with E meals? Check out this GIANT list of the easiest E meals ever that will fill you up! I love sprouted whole wheat flour, but it’s difficult to find in my area and has gotten very expensive on Amazon (this one is my favorite– it’s so delicious!). I still buy it when I can (and use these 10 ways to get it for FREE) but recently I have turned to this delicious alternative. I have been making this awesome whole wheat bread recipe from Gwen’s Nest. It creates a sprouted sourdough as it ages for a few days in your fridge. The carb count as drastically reduced, and your body sees sprouted grains much like a vegetable. You can read more about the benefits of sprouted grain HERE. This bread recipe has just five simple ingredients and takes less than 5 minutes of active time. I add a touch of honey to feed the yeast, which helps to activate it and get a lighter bread. Here’s my favorite regular whole wheat flour for bread! It’s the best one that I’ve found to create a great, light texture for bread. Walmart grocery pickup (or other stores that offer a similar service) have been awesome at saving me money! Every time you add something to your cart, you see the grand total mounting. It can help you to really think through each item that you order and help you stick to the menu plan and THM. it keeps you from grabbing impulse buys it you might while in the store. You’re not tempted by off plan ingredients, and you’re not tempted to pick up special ingredients to try a new recipe that might not be in the budget this week (guilty of that one over here!). In my area, Walmart grocery pick up is the cheapest grocery option with an available pick up service. If you haven’t tried it yet, you can get $10 off your first order by signing up with my link HERE! You can use it toward stocking up on some on plan special ingredients! Friday night pizza and a movie can be a great weekly tradition for family bonding and saving you money while slimming your waistline! Haha, isn’t THM the best?! You can have your pizza and lose weight! Meat, which is usually the expensive part of dinners, can be a topping and not the star of the meal. Mozzarella cheese is quite inexpensive. Check your local Walmart– I’ve been getting it for $1.25 for 8 ounces enough to cover a pizza, and sometimes they carry fresh mozzarella for just $1.67. No sugar added tomato sauce is super cheap– all you need is the 8 ounce can from Walmart or Aldi for 20 cents. Like the bread dough recipe, I’ll show you how to use that inexpensive whole wheat flour to reduce the carb count and make on plan pizza. We use this fabulous pizza dough recipe as a base, and I’ll show you how to make it on plan. I follow the recipe above and sub honey or coconut sugar for the sweetener. These are on plan sweeteners, but they’re not ideal for normal weight loss. In this case, the yeast needs some sugar to “eat” to work better, and you’re going to let this rest in the fridge to reduce the carb count. It should not derail your awesome weight loss efforts. The trick to this dough is making it on Monday or Tuesday if you want to eat it on Friday. Ideally, it needs 3-4 days to age in the fridge to reduce the carb count. On pizza night, roll it out, top, and bake according to the recipe above. Voila! You have delicious, sourdough, whole wheat, on plan pizza! These 4 grocery shopping apps will help you to save money on THM supplies and foods that you’re already buying. If you don’t use these apps, you’re pretty much just leaving money on the table. Honey- Honey looks for coupons for you when you’re shopping online. It automatically tells you which seller has the lowest price for the item that you want, including shipping. You accrue points with every purchase, and you can redeem the points for free gift cards! Sign up for Honey for free HERE! Ibotta- This is my favorite way to save money on THM groceries I’m already buying! Check the app to see what’s on sale for the week, buy that thing at the store, take a picture of your receipt, and get money back by Paypal or other gift cards. Super easy, and you can stack it with any digital or manufacturer’s coupons, too. I once got coconut flour for less than $2 a pound and Pyure stevia for $2! Sign up for Ibotta with my link and get $10 for FREE! Checkout 51-This one works just like Ibotta. For me, it doesn’t work as well with the stores in my area, but you can give it a try! BerryCart- This one is my new fav! It works like Ibotta, but has an emphasis on savings for organic produce and groceries. You can check it out HERE! Making your own Greek yogurt can save you tons of money. The average tub of Greek yogurt costs $3.50 in my area. I can buy a gallon of milk for $1.57. From that gallon of milk, I can make at least 3 or 4 tubs of Greek yogurt. I use an Instant Pot for super easy and delicious yogurt making. While an instant pot is an initial investment, it also saves me additional money, as you’ll see below. If you’d like to use a less expensive yogurt maker, I have used this one in the past with great experience results. Don’t let the time that it takes to make dinner get in the way of saving you money. Don’t fall for the trap of going to the drive-through and spending lots of money. Instead, use your crockpot, or even faster, use an Instant Pot. The Instant Pot helps me save money because I often forget to put my dinner in the crockpot in the morning. With an instant pot, when I remember at 4 or 5pmvthat I need to make dinner, I can put the meal right into my Instant Pot even if the meat is still frozen. Brinner! Good ole breakfast for dinner can save you some serious money with THM. It’s my ultimate THM on a budget supper trick! We usually do this once a week to save money without feeling like we’re sacrificing! Most breakfast foods feature inexpensive ingredients like eggs or oats. It can also feel really special because you might make something more elaborate for dinner than you would for a weekday breakfast. There’s so many delicious, frugal options for THM meals here. Think about savory quiches, piping hot muffins, and decadent stuffed French toast! For an added bonus, you can double the recipe and have breakfast already ready for the following morning. We usually have Brinner on Saturday nights so that we can have the leftovers for a super fast Sunday morning breakfast and get to church on time! Making meals in advance and sticking them in your freezer is also another way to save money on THM so that you have emergency meals ready to go. Without a freezer stash of on plan meals, you might find yourself headed for the drive through when life gets crazy. The easiest way for me to do this is to double dinner a few times a week. If I’m making meatballs, I also prep twice the meat and make mozzarella stuffed Italian meatloaf. If I am making a crockpot meal, I’ll and put some in a freezer bag for another meal. Adding beans can help you to get extra protein in your meal and let you use less meat to save money. You can still use up to a quarter of a cup of beans in an S Setting. I find that this works especially well in taco, chili, and soup recipes, where beans can naturally complement the flavors of the dish. Occasionally, you can also add edamame beans (soy) to your Asian dishes for an inexpensive protein punch. As a holistic healthcare provider, I do want to caution you here: please don’t use soy every day! Edamame is a great, whole-foods approach to eating soy that’s better than the soy added frequently to foods. Soy, however, is estrogenic and is not great for daily consumption, especially for the menfolk in your family! One of the best ways to save money with Trim Healthy Mama is to meal plan around less expensive ingredients! Planning meals around things that cost less automatically helps keep your grocery budget in check! This is my FAV cheap dessert with just 3 ingredients! 13. Get Your Special Ingredients for FREE! 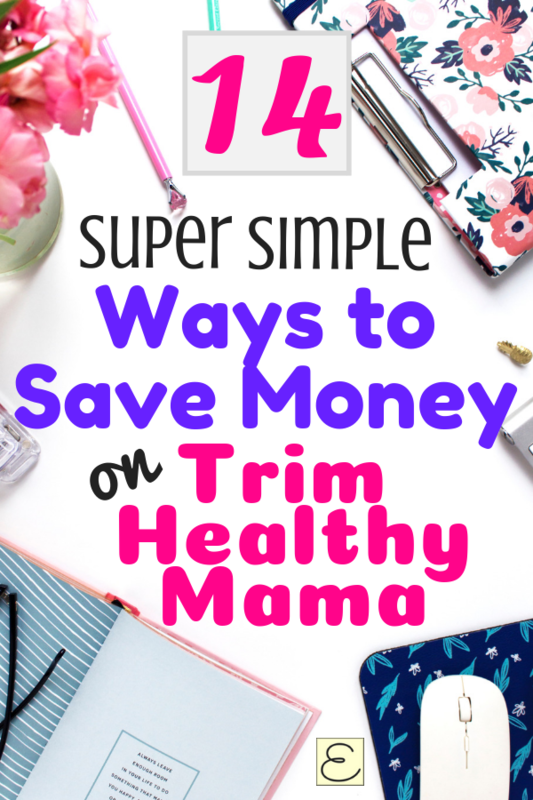 What’s better than saving money or using a Trim Healthy Mama coupon code (which, as far as I know, is nonexistent!)? Getting things for FREE! Swagbucks is a free website where you can earn points for doing easy online actions, like searching the internet, watching videos, or playing games. I do this at night while watching Netflix. One year, I even earned enough money to play for almost all of our Christmas presents with Amazon gift cards! Sign up HERE to get started with Swagbucks and get a $5 Amazon gift card right away! Honey looks for coupons for you when you’re on Amazon. It automatically tells you which seller has the lowest price for the item that you want, including shipping. You accrue points with every purchase, and you can redeem the points for free Amazon gift cards! Sign up for Honey for free HERE! Check out all 10 ways that you can get free Amazon gift cards HERE! This is a unique way to save money while doing the Trim Healthy Mama diet– as your body releases the weight, check with your health insurance and see if they offer any perks. You may not directly save money on THM, but you can definitely save a TON of money every month… and maybe put that money towards THM ingredients. Many health insurance companies have incentives for your healthy lifestyle choices. We’ve been able to get freebies for exercising and losing weight (we used to get free money tickets for using our FitBit, which we got from free with health insurance points), and we also get cash back for buying healthy groceries. You may even qualify for a reduction in your monthly premium for the weight loss and improved blood work that many Mamas see with THM! 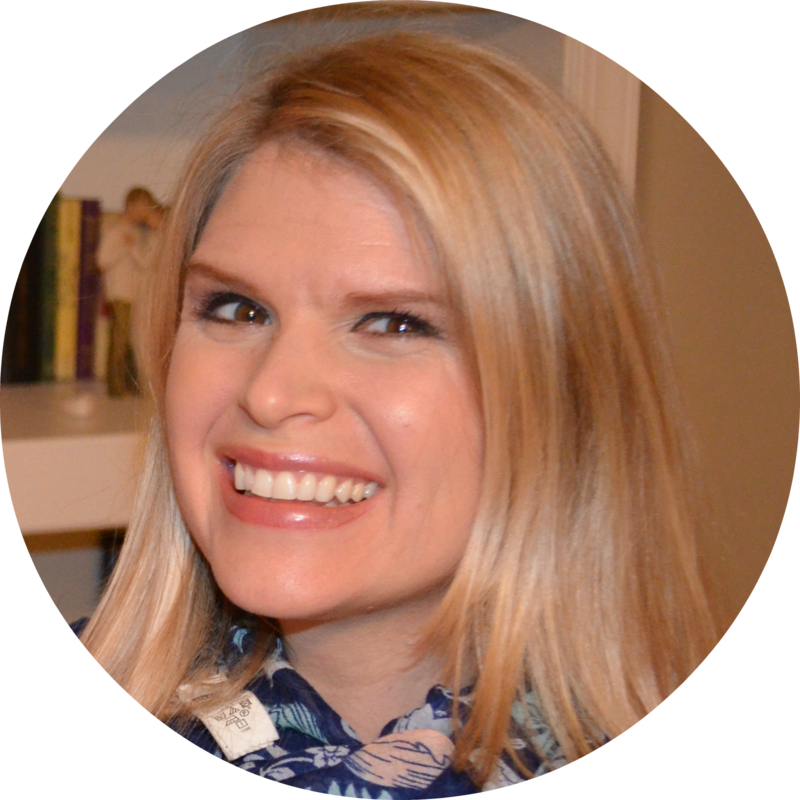 For even more fun stuff to keep you on plan, check out all my THM resources to keep you happily and easily on plan. There’s a giant list of speedy S meals, the easiest THM E meals ever, and a reusable one week menu tailored to you! What are your favorite ways to save on THM? 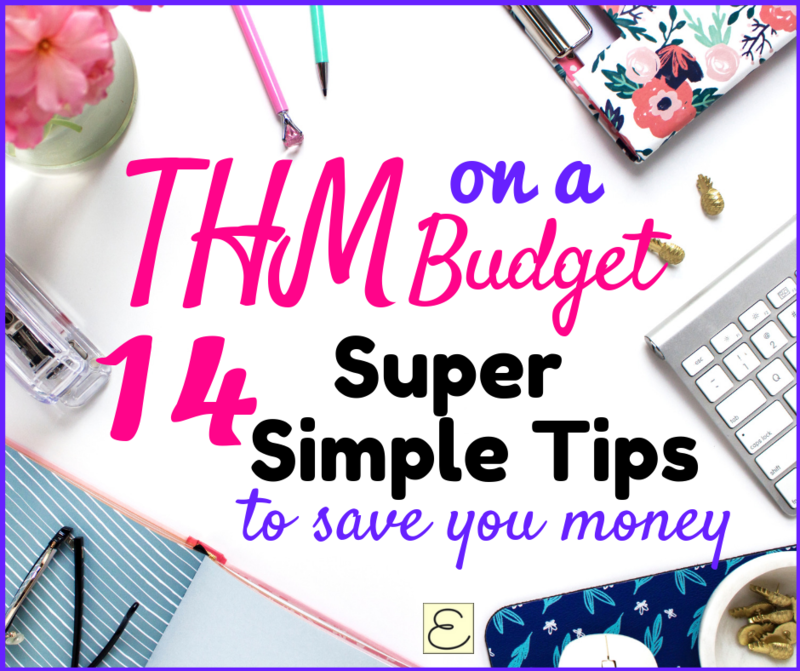 I’d love to hear your THM on a budget ideas in the comments! Supercharge Your Weight Loss Goals and Make Money- Do you wanna supercharge your weight loss and motivation? Did you know that you can actually MAKE money while losing weight? HealthyWage uses cash-based challenges designed to help end procrastination, encourage perseverance, and harness the power of your desire to avoid losing your wager. Check out HealthyWage HERE! The Best Planner to Keep You On Point– Having trouble finding time for everything between work, healthy meals, cleaning your house, and connecting with your loved ones? This is the best planner that I’ve found to help me balance creating a life I love with keeping up with my already busy life. It’s undated, so you can start any time of the year and start crushing your goals! You can get started with a FREE goal-setting workbook HERE! Sharing is caring! If this post has been helpful for you, please click on the image below to share it on Pinterest! Thanks! When fermenting the pizza dough in the fridge, does it need to be loosely or tightly covered? After fermenting, could the dough be divided – one to bake and one to freeze? I really appreciate your THM crossover ideas! Hi! Excellent tips!! Quick question- on the recipe for the pizza dough, is it still an E after the fermentation? If so, how much cheese do you put on it to keep it an E? Thank you! Hi, Stacy! Great questions! Yup, the fermentation is what makes the regular whole wheat pizza crust an E (or you can just use sprouted whole wheat and it’ll still be an E). You may want to double check the fat content on the nutrition label of your mozzarella cheese to be sure, but you can usually use 1 ounce of part-skim cheese to be within your 5 grams of fat for an E meal. That usually works out to about 1/4 of the pizza for me, and I add lots of veggies or chicken breast for additional toppings and sometimes a side salad to fill me up. You can also sprinkle a small amount of freshly shaved Parmesan cheese on top of your slices right before eating– this adds a huge boost of flavor without much fat or calories while still being an E. I also make crossover pizza on occasion and then I am pretty liberal with the cheese (I’ve been pregnant or nursing for most of my THM journey). I sometimes find that a good crossover keeps me happy and saves me from going off plan. Hope that helps!